You’ll find Eurasia Hotel Chiang Mai in a very well-connected location close to the Chiang Mai Super Highway. For getting around, the boutique resort offers free shuttle bus pick-up and drop-off services to and from Chiang Mai city center. 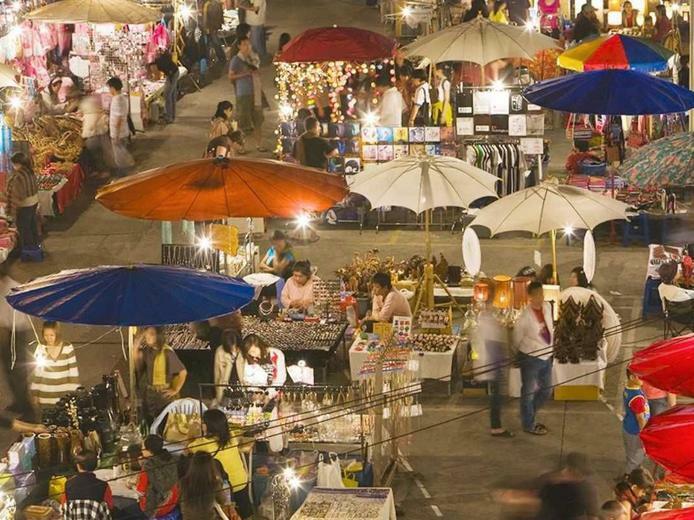 From the hotel to Chiang Mai Night Bazaar, the city’s biggest evening attraction, is just a 10-minute drive, which also puts you in the vicinity of fabulous shopping, varied restaurants and vibrant nightlife waiting to be explored. 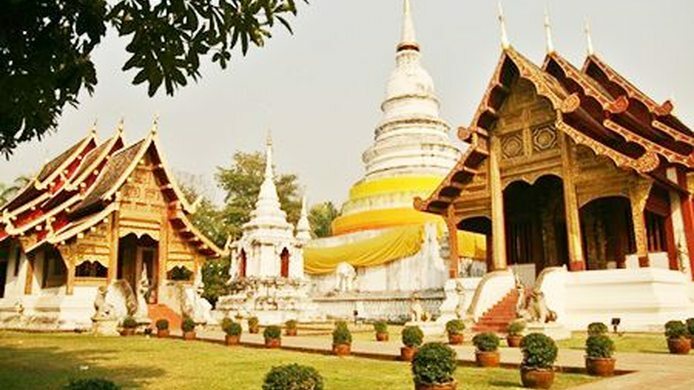 The location is also perfect for sightseeing the many historical and culture highlights of Chiang Mai. That includes numerous spellbinding Thai Buddhist temples. A prime example is Wat Chai Mong Khon, a beautiful temple located riverside. Once you’re there, it’s only a short hop further to "Art in Paradise", Chiang Mai’s famous 3D museum. And once you’ve ‘done’ that, you can carry on to the magnificent, must-visit Wat Chedi Luang. That, in turn, is near the also iconic ‘Three Kings Monument” as well as another unique temple well worth a tour: Wat Phan Tao. We also recommend a quick trip to Wat Phra Singh to admire the magnificent “Hor Trai” assembly hall that enshrines the venerated Phra Buddha Sihing, Chiang Mai’s most sacred Buddha image. Another prospect is to enjoy the simple pleasure of strolling up and down Chiang Mai’s colorful weekend walking streets, namely Wualai Road and Ratchadamnoen Road. Held every Saturday, the streets are packed with stalls selling handmade artifacts from all over the north of Thailand. Here you can browse and shop for hilltribe textiles and garments, paintings, all manner of decorative items, and countless souvenirs of Chiang Mai. It’s also an excellent opportunity to explore the unique varieties of Lanna-style snacks, dishes, desserts and drinks. As you mosey around, you are also likely to be entertained by gatherings of amateur musicians and dancers performing contemporary folk music and folklore dramatizations both for your pleasure and expansion of your cultural boundaries. Come Sunday evening, attention turns to another walking street, this one hard-by the iconic Thaphae Gate. It’s another bright spot for perusing local handicrafts and perhaps stopping to have your portrait painted. It is not for nothing that this is Thailand’s most famous walking street. It is also to your advantage that Eurasia Hotel Chinag Mai is only a 20-minute drive from Chiang Mai International Airport, 5 minutes from Chiang Mai Railway Station and 30-minutes from Chiang Mai Night Safari. ​All these intriguing sights and experiences are just a taster of the full picture that awaits you. You’ll just have to come and see for yourself.